Supreme canvas backpack with leather trim. Signature brand pattern print throughout. Smiling sun graphic with brand name logo. Clear ID window featured in back. Dual side slip pockets to each side. Spacious lined interior features one zip pocket and two slip pockets. 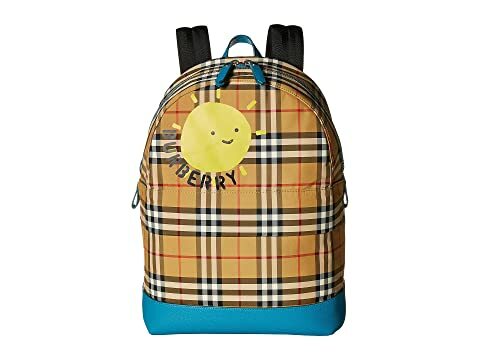 We can't currently find any similar items for the Nico Sun Backpack (Infant) by Burberry Kids. Sorry!